Very private villa, with beautiful surroundings and charming interiors. Three spacious bedrooms and a smaller one with bunk-bed, two bathrooms and fully equipped kitchen. 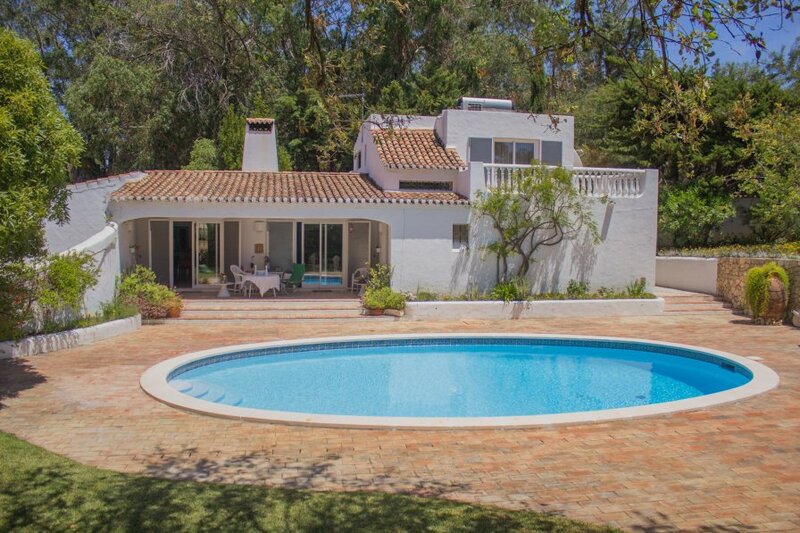 Located in the Quinta da Balaia, this charming village offers an environment of unparalleled privacy and comfort. It consists of two floors: on the ground floor a large living room overlooking the pool, the fully equipped kitchen and also two bedrooms and a bathroom; On the first floor you can find the master suite, with private bathroom and a large balcony, and a smaller bedroom with a bunk-bed. Three larger bedrooms are equipped with air-conditioning, the smaller one has a fan or heating available. On the outside you can find a beautiful swimming-pool, a small lawn area, as well as a BBQ and a several sunbeds where you can relax. There is a lounge and dinning area outside, where you can enjoy a nice meal and take advantage of the sunny days and the fantastic and warm summer nights of the Algarve. Parking is also available inside the property. In the area there is a mini-market, restaurant, among other services. Situated just 2km from the beach of Sta. Eulália, this complex is located in a calm and abundant green area but not too isolated, thus allowing to conciliate relaxing vacations with the multiple options of entertainment that Albufeira has to offer.